You can’t use your dental benefits without seeing your dentist, so make sure you schedule two checkups and cleanings each year. Preventive visits like these are typically covered in most dental benefit plans. The key is to reach your annual maximum by using your benefits at the dentist’s office. If you can get in to see your dentist earlier in the year, you’ll have a better idea of what treatments you may need in the future. That way, you can check with your insurance provider to see what services are covered, and you’ll know what you may have to pay out of pocket. Try to hit your annual maximum before December 31st because those benefits won’t roll over. Besides hitting your annual maximum, checkups and cleanings are also an important part of your oral and overall health. Preventive visits give your dentist an opportunity to make sure everything is healthy looking and feeling. Plus, your dentist has tools like X-Rays where they can catch issues in your smile that aren’t visible to the naked eye. Flexible Spending Accounts are accounts set up through your employer, where you choose how much money to put in it from each paycheck. This money can be used on preventive visits and other oral healthcare services. FSA’s typically function like a debit card, and you can even use it to purchase certain healthcare products at your local drugstore. With an FSA, it’s even more important to plan your year. Most FSA’s cut off at the end of the year, but some employers offer a grace period, or they’ll let you keep a fraction of the money in your account. 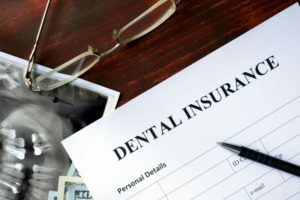 Because of this, it’s vital that you get a treatment plan from your dentist to plan out your expenses. After you know what kind of dental services you may need, you can put in the correct amount of money accordingly. Whether you have a benefits plan or an FSA, hitting your annual maximum will ensure you’re getting the most out of your benefits. If you still haven’t seen your dentist this year, now is a great time to schedule an appointment before your December 31st deadline. Dr. Sarah Esparza enjoys providing quality care for her patients in Virginia Beach. She has an amazing team that wants to help you maximize your dental benefits. She offers various dental services for the whole family, making her office a one-stop-shop. She currently runs her own practice, and she can be contacted through her website or by phone at (757) 499-4707 for any questions.